The company says the service is now available to over a million households in the two cities and expects to have it available to almost five million Canadian households by the end of 2015. Available programming on Fibe TV includes more than 100 HD channels as well as more than 70 international channels which can be purchased via more than twenty theme packs. The service also features a video on demand service including subscription video on demand for movie channels such as TMN, MPIX and HBO. In order to use the IPTV service, consumers must buy or rent an HD receiver ($100 to buy, $5 per month to rent) or HD PVR ($250 to buy or $20 per month to rent). Standalone television programming packages in Toronto range in price from $32 to $112 per month. In Quebec, where competition with Videotron is more fierce, programming packages start from as little as $18 per month. 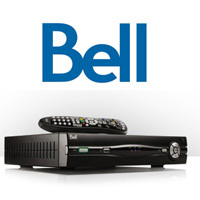 Digital Home offers the Fibe TV forum to discuss Bell’s IPTV service. Wow by 2015 5 million Canadians will be able to buy this. By that time traditional tv will be obsolete. the pricing structure is pretty “traditional”….